Mix Aranciata with ice for a frosty, refreshing Granita. Cut off the top 1/4 of the oranges and shave a small slice off the bottom. Cut out the flesh of the oranges and place them on a cookie sheet. Freeze until solid. 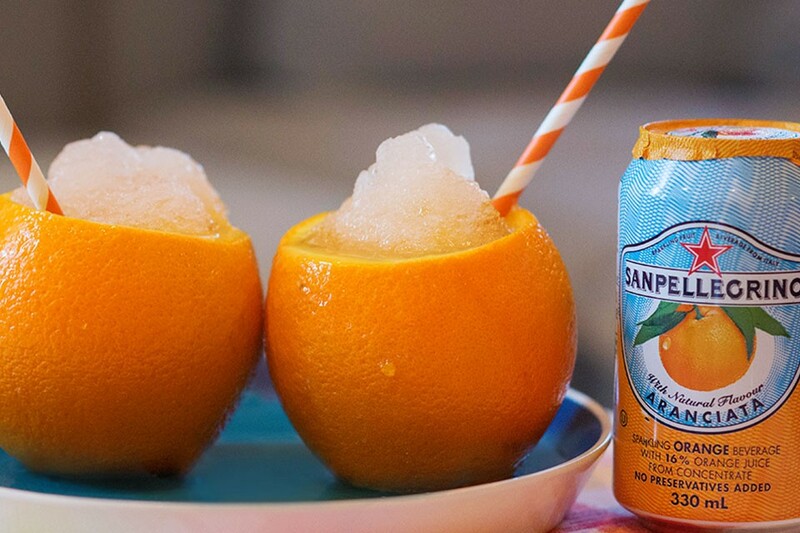 Add SAN PELLEGRINO ARANCIATA and ice to a blender, and pulse until blended. Scoop it into the orange shells and serve immediately. Add 2 ounces of orange flavoured liquor.